Enjoy the convenience and luxury of The Melville in Port Warwick. 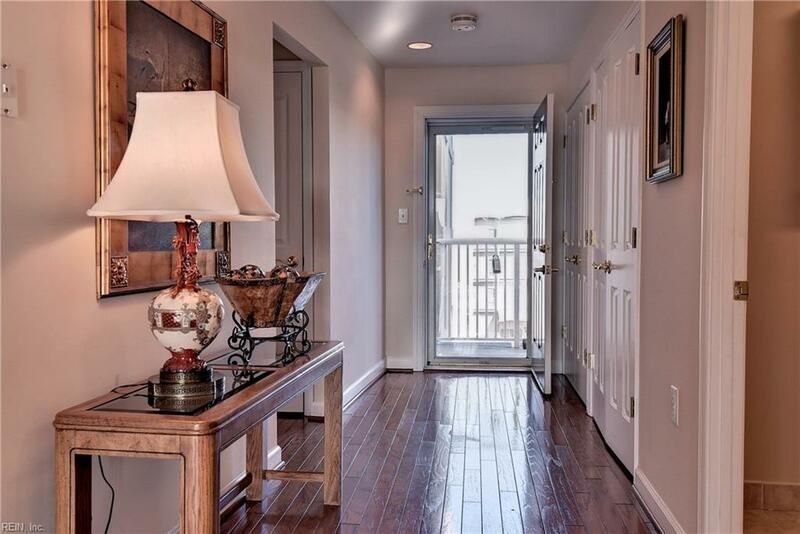 Move-in ready, one-level living, offers excellent vistas of this award-winning community. 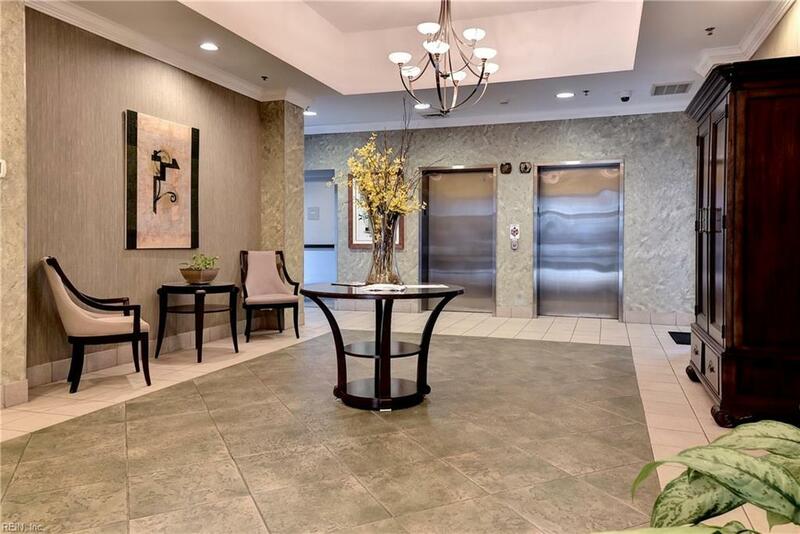 Elegant lobby with coded entrance doors, elevators, assigned storage area, well-equipped exercise facility, and the fun of living in a beautifully planned neighborhood. 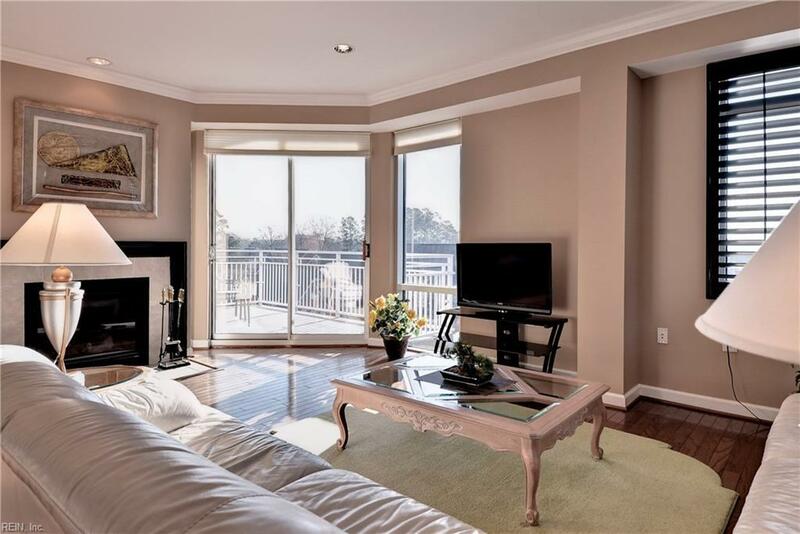 Wood floors, light-filled eat-in kitchen with island, living room with gas fireplace. Large master with huge walk-in closet, master bath with dual sinks, garden tub and separate shower in neutral, pleasing colors. Second bedroom with attractive views, built-bookcase, and 2nd full bath. 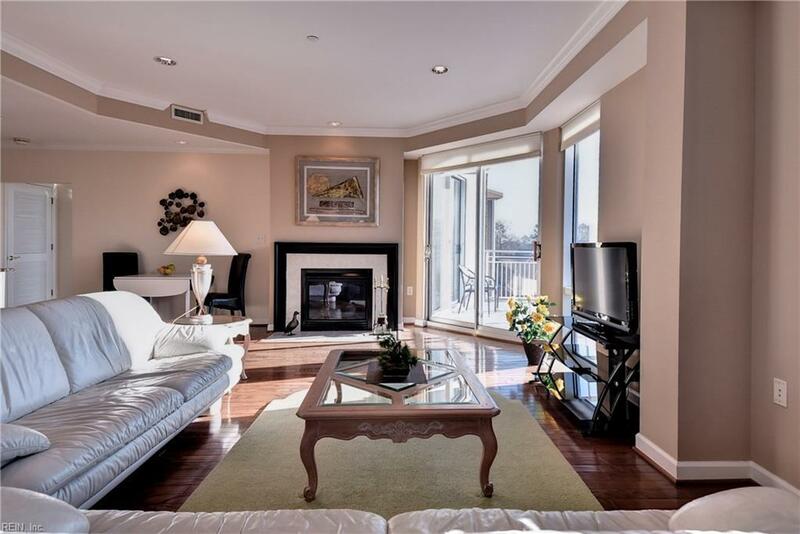 Open and bright living room with glass doors to the balcony which overlooks bronze sculpture and tree-lined streets. Gated parking area with covered assigned space. Port Warwick features an annual Arts Fall Festival on Styron Square, concerts, great restaurants, and conveniently located just minutes from City Center, The Tech Center and major medical facilities.